A habeas petition is usually the last chance to appeal a conviction. A habeas petition has been described as “the best and only sufficient defense of personal freedom.” The term “habeas corpus” literally means ‘you have the body’, since traditionally an inmate’s captor was required to produce the inmate’s body before a judge where habeas corpus was sought. In Georgia, a habeas petition challenges the legality of an inmate’s confinement after a direct appeal has failed. A petition may also be used to overturn an invalid sentence, or address a denial of bond. Only people who have been restrained in their liberty may file a habeas petition. The relief sought must be based on a denial of rights under the Constitution. Restraint can mean physical custody or some collateral consequence such as the loss of the right to vote or serve as a juror. A previously paid fine, denial of parole, discipline of an inmate or loss of good time in prison are generally not considered grounds for a habeas writ. Claims that would potentially warrant a writ of habeas corpus include a void judgment, ineffective assistance of counsel, an illegal search or seizure, insufficiency of evidence, a conviction under an unconstitutional statute and jury instructions that made the trial unfair. Those seeking habeas relief in misdemeanor cases must generally file a habeas petition within one year of their conviction. Those challenging a misdemeanor conviction for any traffic violation must generally file within 180 days. In felony cases, a person must typically file within four years after the sentence was imposed. However, this four year limitation does not apply when a person is challenging a conviction for which a death sentence has been imposed. Any claims raised and ruled on in a direct appeal generally cannot be reasserted in a habeas petition. Additionally, claims that could have been raised on direct appeal but were not may also not be considered. There are, however, exceptions to these rules. If counsel shows an adequate cause for the failure to object to or to pursue a matter on appeal, the claim may not be barred. This cause generally requires defense counsel to show that something interfered with his or her ability to raise the issue. This often involves government interference or that the state concealed something. The defense may also show that that a factual or legal claim was not available at the time. In addition to cause, prejudice must also be shown. Habeas petitions are generally filed in superior court in the county where the inmate is being held. However, a federal inmate is required to file a petition in the sentencing court. After pleadings have been filed, the court generally sets a hearing date. At the hearing, there is a presumption in favor of the conviction. An inmate may rebut this presumption with depositions, oral testimony, sworn affidavits, and other evidence. To win, an inmate must show that it is more likely than not that the judgment which he is attacking is invalid because his constitutional rights were violated. If the inmate is challenging a guilty plea, the state generally must show that the plea was knowingly, voluntarily, and intelligently made. If the superior court judge presiding over the hearing finds in favor of the inmate, the judge may grant the habeas petition and order the inmate to be retried, held in custody, or discharged as he or she finds proper. The state may appeal the granting of a habeas petition to the Supreme Court as a matter of right. If the judge rules against the inmate, the inmate may appeal the case to the Supreme Court of Georgia. Such an appeal is not a right. For the Supreme Court to hear an inmate’s appeal, the inmate must file a written application for a certificate of probable cause to appeal with the clerk of the Supreme Court within 30 days of the superior court’s order. The inmate must also file a notice of appeal with the clerk of the superior court within 30 days. The Supreme Court may then either grant or deny the application. If the appeal is granted, the Supreme Court will issue a certificate of probable cause authorizing the appeal if it appears that the inmate’s claim likely has merit. On appeal, the Supreme Court accepts the factual findings and matters of credibility of the habeas court unless they are clearly erroneous. Legal principles or questions of law are independently considered. For habeas petitions in federal court, an inmate must argue that his sentence was imposed in violation of the Constitution or laws of the United States, that the sentencing court lacked jurisdiction, or that the sentence imposed was not authorized by law. 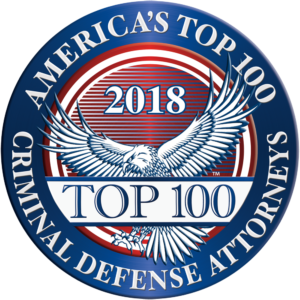 Constitutional issues may include ineffective assistance of counsel, unlawful searches and seizures, double jeopardy, self-incrimination, speedy trial issues, impartial juries, confrontation problems, cruel and unusual punishment, and due process concerns. Those seeking habeas relief generally must first ask the district court that sentenced them to vacate their sentence. A habeas petition must normally be filed within one year of the date on which the conviction became final. Unless the the record shows that the inmate is not entitled to relief, the court will serve the government with notice and grant a prompt hearing. At the hearing, evidence will be presented to the judge to show why the inmate should be granted habeas relief. Inmates who win a habeas proceeding may be released unconditionally, released with conditions, or receive some other form of relief, depending on the nature of the case. If the judge sides with the government at the hearing, the inmate may appeal that decision to the Eleventh Circuit. If that should fail, the inmate may then ask the Supreme Court to hear his case. An inmate may also wish to bring a second or successive motion should the first one fail. These motions must be certified by a panel of the appropriate court of appeals as containing newly discovered evidence that, if proven, would adequately show that no reasonable fact-finder could have determined that the inmate was guilty. In the alternative, an inmate may show that there is a new constitutional ruling that is retroactive. An inmate convicted under state law may also petition for a writ in federal court. The requirements and proceedings for a state inmate are similar to those for a federal inmate but not exactly the same. The state inmate must argue that his incarceration violates the laws or Constitution of the United States. Additionally, applications for habeas writs will not be approved unless the inmate has exhausted the state’s available procedures. A state inmate has a one-year period in which to file a habeas corpus petition in federal court. The one-year period begins to run when a final judgment on direct review is issued, when a right is newly recognized by the Supreme Court and is made applicable retroactively to such cases, or when the factual basis of the claim or claims presented could have been found through due diligence. A petition in federal court is generally brought before a district judge in the district where the inmate is being held. Otherwise, a petition may be brought in the district where the state inmate was sentenced. The district judge will typically order the government to show cause as to why the writ should be denied. The judge may then set a hearing at which time evidence from prior proceedings and newly obtained evidence may be presented. The district court presumes that any factual findings made by the state court are correct, and the inmate must rebut this presumption with clear and convincing evidence. If the judge rules in favor of the government, the inmate may appeal to the United States Court of Appeals for the Eleventh Circuit. A justice of the Eleventh Circuit must issue a certificate of appealability (COA). The Eleventh Circuit will review any findings of fact made by the district judge for clear error. It reviews conclusions of law independently. 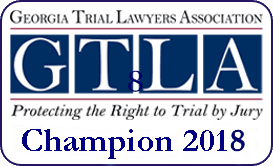 Our lawyers have helped clients file and win habeas petitions in both state and federal courts in Georgia. If you need to pursue a habeas petition, our firm may be able to help. The information provided above is a very general summary of the law of habeas petitions at the time this text was prepared. Because this analysis is subject to change depending upon recent cases and legal developments, you should not rely on this summary as legal advice. As with any important legal question, you should always consult a criminal defense lawyer licensed to practice in your jurisdiction. Our lawyers are licensed to practice in all state and federal courts in Georgia and have been admitted to several federal circuit courts of appeal and other district courts across the country.